Great Look and Quality ! We Love It! Stimulated by classic Persian motifs, this piece is inspired by decades of timeless tradition. 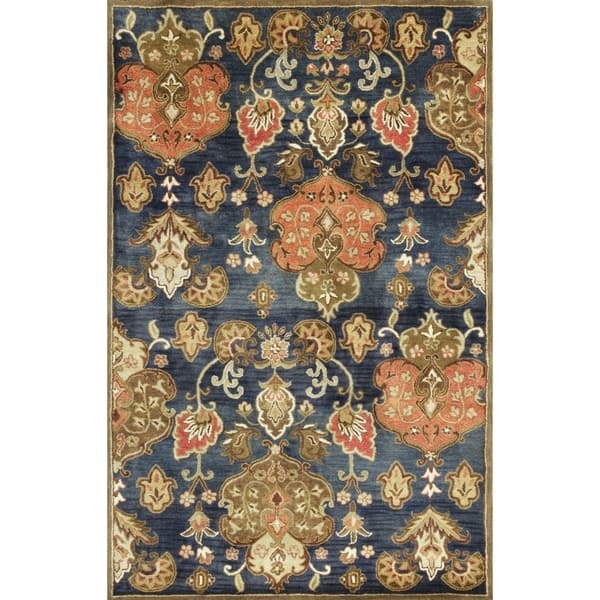 Add an elegant flair to your space with this artful homage to traditional rugs. Alexandria is beautifully Hand-Tufted of 100% New Zealand Wool in India and has a 1/2' pile height .Cotton Backing. Made in India. Vacuum regularly & spot clean stains. Professional cleaning recommended periodically. Dimensions 90.0 In. X 27.0 In. X 0.5 In.